Rallying employees around wellness—and gaining more than 90% engagement—Ardent Health Services builds a bold brand and dynamic website. Ardent is a premier provider of health care services, based in Nashville, Tenn. Its subsidiaries own or operate hospitals and health care systems throughout the United States. With its benefits plans—particularly its wellness program—the company sought to communicate to its more than 11,000 employees that caring for their own health was critical to providing excellent care to patients. Since 2010, a long-term communications strategy has helped Ardent employees to better engage in and appreciate their benefits, and allowed the company’s wellness programs to flourish. 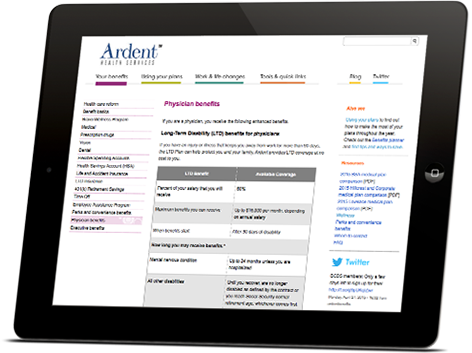 We anchored Ardent’s strategy to a meaningful, memorable benefits brand that unifies communication across various health care systems. 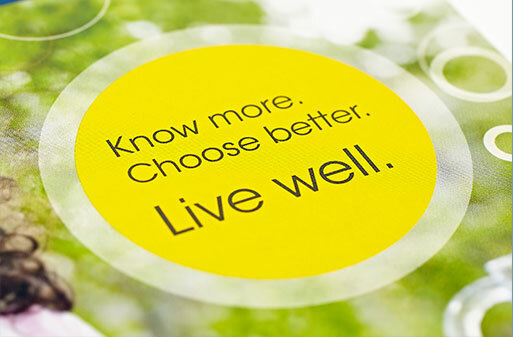 The brand tagline Know more, choose better, live well has helped employees connect with and take annual action in a bold results-based wellness program. It has also supported financial benefits and changes as the company’s health plan options evolve each year. Any benefits question that employees have can be answered within just a few clicks. 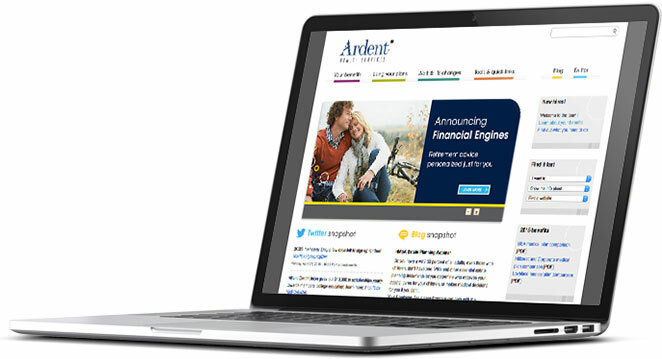 Ardent’s full-service benefits website—housed outside the firewall—offers employees and families the information and updates they need to make sound benefits decisions. Benz has helped us create a fantastic website we love, and that fits within a brand that resonates with our people. They’re creative, responsive, fun, and smart. They really know what they’re doing. Ardent’s strategy is built around an engaging brand with the Know more, choose better, live well tagline that draws users to its benefits website, integrated with social media features to keep them coming back year-round. With traffic growing each year—200,000 visits and counting—Ardent employees and families clearly value the site as their one-stop shop for all benefits-related programs and tools. HR field directors use the website as a showpiece for prospective employees, giving them a taste of the programs and clear visibility into Ardent’s commitment to employees. Melanie Miller, AVP of compensation and benefits, was honored in 2010 as a Healthcare Consumerism Superstar, and she’s been a featured panelist at several leading industry conferences to tell Ardent’s benefits success story.